Chanel got engaged in November last year and caught our eye after she won a loop giveaway we were participating in. She is ALL about the details, has great taste, captures her engagement with Allen beautifully through social media and just by following her beautiful Instagram feed @chanelnouanrasy we can tell her favourite colour is pink! Needless to say we think we have a girl crush.. 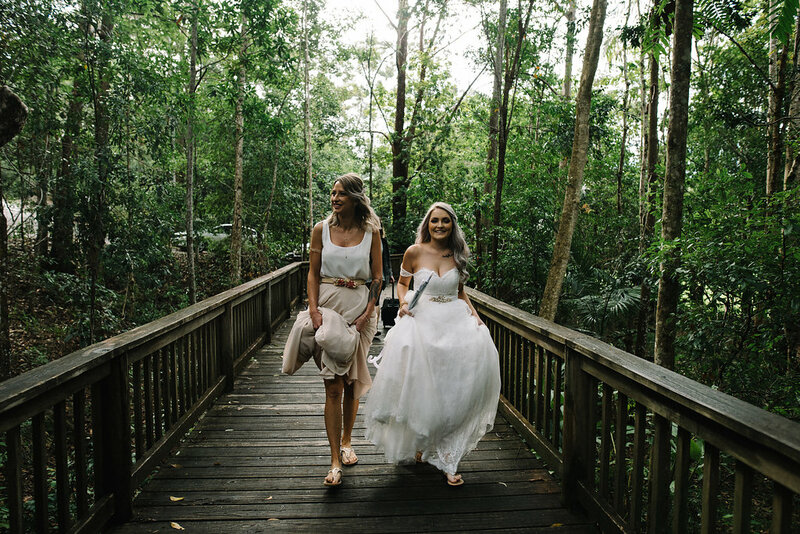 Recently we sat down with Bride-to-be from Sydney to talk all things weddings like her romantic proposal, her wedding planning and how she popped the question to her bridesmaids and it’s the cutest we’ve heard so far! The BRIDAL BOX Co: When is your wedding date and how long is your engagement? Chanel: Our wedding is in November 2018, we would have then had a 2 year engagement. The BRIDAL BOX Co: Tell us about the proposal? Did you see it coming, or were you super surprised? Chanel: No I didn’t! He caught me by complete surprised and kept the ring with my Maid of Honour. We went glamping in Glenworth Valley for our 10 year dating anniversary and he popped the questioned by the fireplace. It was very secluded and romantic! The BRIDAL BOX Co: How did you go finding your dream wedding dress? Chanel: Haven’t found it just yet but I’m really excited for upcoming fittings! The BRIDAL BOX Co: Where are you having your ceremony? Chanel: We’re thinking of having a cute little garden ceremony. The BRIDAL BOX Co: Where are you having your reception? Chanel: Possibly in Camden, Moss Vale or Byron Bay. The BRIDAL BOX Co: How many people are invited? Chanel: We’re planning on having a small intimate wedding with about 60-70 people. The BRIDAL BOX Co: What is the theme/colours of your wedding? Chanel: Blush pink, white and gold. The BRIDAL BOX Co: How many bridesmaids are you having and how did you select who they would be? Chanel: I have three bridesmaids. My best friend as my Maid of Honour because she’s been there through thick and thin. We tell each other everything! My sister who’s always been supportive and my cousin who I share my fondest childhood memories with. The BRIDAL BOX Co: How did you ask them to be your bridesmaids? Maid of Honour- We were playing the game “speak out” with the mouth pieces. I pretended to read a card asking her “Will you be my maid of honour?” She understood what I said but didn’t realise I was actually asking her! Cousin- I made a “Will you be my bridesmaid” mug and dropped it off to the barrister before we met up for coffee. I waited for her to receive her order in her mug. She was so surprised and excited! Sister- I came out with a card and a “Will you be my bridesmaid” candle in a gown at my first wedding dress fitting. The BRIDAL BOX Co: What did you fill your bridal boxes with? Chanel: A candle, nail polish, beautiful soap, customised shot glass, customised hair tie and a DIY inspo booklet (with photos and details about our big day, their dresses and their roles). The BRIDAL BOX Co: Who/what will they be wearing? Chanel: A simple floor length pinky coloured dress. The BRIDAL BOX Co: Do you have any advice for other Bride-to-be’s planning their own wedding? Chanel: Keep an eye out for inspiration on Instagram and Pinterest. Keep a little planner to note down ideas and plans. Involve your fiancé and your bridal party! The BRIDAL BOX Co: Is there anything or anyone that has really stood out in making the wedding planning easier for you so far? Chanel: My fiancé and KIKKI K wedding planner! The BRIDAL BOX Co: Have you got any plans for your honeymoon? Chanel: Hoping to go to France and Italy, possibly Greece as well for a little Europe trip! Order your Bridal Boxes in time for your wedding!